INDIVIDUALS WHO USE cannabis every day are three times more likely to suffer from a psychotic disorder than those who don’t use the drug at all, a new study has revealed. The study, which examines how cannabis use and strength affects the incidence of psychosis, found that the odds of having the disorder among daily users of the drug were 3.2 times higher than among non-users. It also found that users of high-potency cannabis were approximately 1.6 times more likely to have a psychotic disorder than those who never used the drug. The study, published today in The Lancet Psychiatry journal, claims to be the first to show the impact of cannabis use on population rates of psychosis, and highlights the potential public health impact of changes to the legal classification of cannabis. To carry out the study, researchers compared more than 2,000 people between the ages of 18 and 64 at 11 sites in Europe and one in Brazil between 2010 and 2015, in order to understand the risk factors associated with the disorder. Of these, 901 patients had presented to mental health services following their first episode of psychosis, while a further 1,237 were studied as “healthy matched controls”. Comparing the two groups, researchers collected information about participants’ history of the use of cannabis and other recreational drugs. 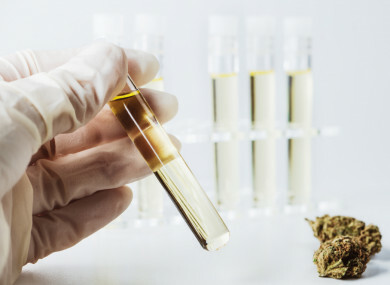 They used published data on levels of delta-6-tetrahydrocannabinol (THC) – the psychoactive compound in cannabis – to evaluate the potency of cannabis used by participants. They also separated cannabis used by participants into two categories: cannabis classed as high potency, where its THC content was over 10%, and cannabis classified as low potency (under 10%). The research found that daily cannabis use was more common among patients who had their first episode of psychosis (266 of 901 participants), compared to the “healthy” control group (84 of 1,237 participants). Meanwhile, high-potency cannabis usage was more likely among patients who had their first episode of psychosis (334 of 901 participants) than those in the “healthy” control group (240 out of 1,237 participants). The study also discovered that psychosis was five times more likely among those who used high-potency cannabis on a daily basis, and estimated that one in five new cases of psychosis across the 12 sites in the study were linked to daily cannabis use. In two sites, Amsterdam and London, high potency cannabis was found to be a strong predictor of psychotic disorders. In Amsterdam, four in 10 (43.8%) new cases of psychosis were estimated to be linked to daily cannabis use, and five in 10 (50.3%) new cases were linked to high potency use. Meanwhile, rates of psychosis in London were 21% among daily users, and 30.3% among those who used the drug with high rates of THC. The researchers suggested that if high potency cannabis was no longer available, the incidence of psychosis in Amsterdam would be expected to halve from 37.9 to 18.8 per 100,000 people per year, while in London, it would fall from 45.7 to 31.9 per 100,000 people per year. Dr Marta Di Forti of King’s College London, the lead author of the study, claimed the findings were consistent with other studies linking high cannabis potency with adverse effects on mental health. “As the legal status of cannabis changes in many countries and states, and as we consider the medicinal properties of some types of cannabis, it is of vital public health importance that we also consider the potential adverse effects that are associated with daily cannabis use, especially high potency varieties,” she said. The research follows observational studies which have supported a causal link between cannabis use and psychosis, although none has previously shown that patterns of cannabis use can influence rates of psychosis on a national level. Commenting on the findings, Dr Suzanne H Gage of the University of Liverpool suggested that the findings indicated that a new approach to treating psychosis among cannabis users was required. “Given the changing legal status of cannabis across the world, and the associated potential for an increase in use, the next priority is to identify which individuals are at risk from daily potent cannabis use, and to develop educational strategies and interventions to mitigate this,” she said. People Before Profit TD Gino Kenny suggested that regulating cannabis for recreational use would allow Irish users to consume the drug more carefully. “There are forms of unregulated street cannabis that have very high forms of THC, which can be sold by people who are sometimes unscrupulous. He added that the findings did not affect his call for the legalisation of cannabis for medicinal use, which contains low levels of THC. Email “New study makes strong link between use of potent cannabis and psychosis”. Feedback on “New study makes strong link between use of potent cannabis and psychosis”.